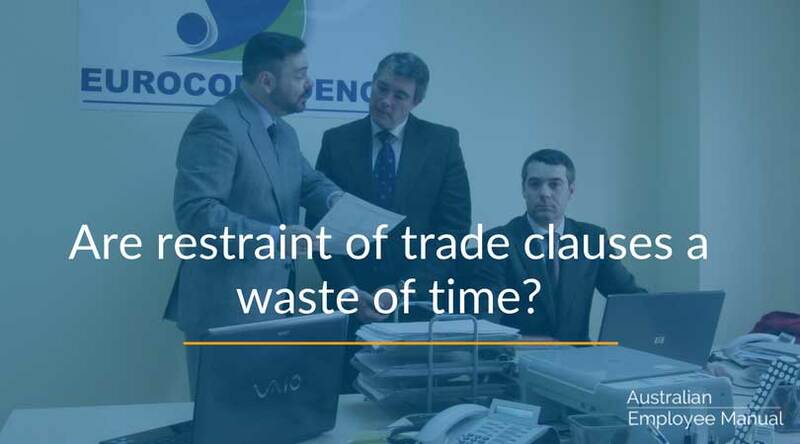 Are Restraint of Trade Clauses a Waste of Time in Employment Contracts? One of the trends with employment contracts is the inclusion of extensive restraint of trade clauses, where employees who leave your organisation are restrained from working in competition with your business in a geographic area for a period of time. When you first look at it, restraint of trade clauses sounds like a good idea. Except that most of them are so poorly drafted and applied on a blanket basis to all positions in a business no matter the situation, that the vast majority of them are thrown out of court. Why have a restraint of trade clause in the first place? Confidentiality – Stop confidential information and trade secrets from leaving the organisation. Non- Solicitation – Stop ex-employees from poaching clients. Non-Recruitment – Stop ex-employees from encouraging your current staff to leave and join them at their new business. Non-Competition – Stop ex-employees from leaving and setting up a business in direct competition with your business for a period of time. These are four very different reasons and require different approaches and wording. However, what we often see happen is very broad wording drafted that rolls all four situations into one mega clause and state that it applies for extended periods of time. This clause is then dropped into every employee contract from the CEO down to entry-level administrative roles, without considering if the restrictions are appropriate. (iv) employ any Group Employee. Non-Compete Period means the period from the commencement of your employment to the date that is 24 months from the date of termination of your employment. Non-Solicitation Period means the period from the commencement of your employment to the date that is 12 months from the date of termination of your employment. Stopping an ex-employee from earning an income is a serious business, and the courts have taken a hard line on unreasonable or excessive restraints. They will only enforce restraints of trade if the terms are considered reasonable to protect the genuine commercial interests of a business, and only then to restrict the restraint to the minimum necessary. Term – The courts generally limit restraints to terms of 3-12 months. Longer terms are only granted in exceptional circumstances. Geographical area – The court looks at whether the restraint is limited to a specific geographic area (e.g. 5km around a particular location), or if it covers everywhere in the world. The greater the area, the less likely it is to be upheld. Type of knowledge – The court looks at if the restraint is for the application of trade secrets or whether it covers general know-how and expertise needed by someone to do their job. Stopping someone from working in any role in any industry that covers their expertise will not stand up in court. So, suggesting that an entry-level employee is not permitted to engage in work relating to their degree for a period of two years after leaving your business is ludicrous. Role of the employee – Restraint clauses are more likely to be upheld in executive and senior professional level roles, and unlikely to be upheld for general level staff. Shareholding – Does the employee hold significant shares in the company? The courts tend to be more willing to consider business impacts rather than employment impacts, so if the sale of large parcels of shares would negatively affect the business, then the courts are more lenient with restraint clauses. What many business owners don’t realise is that including poorly considered restraint of trade clauses in employment contracts is that they are creating problems for their business rather than solving issues. For new hires, the draft contract is often their first experience of what it will be like to work with your company. If you include a poorly considered restraint clause, their very first experience shows a company that does not think things through, shows fear towards their competition and gives direction without providing context for a decision. Not a great first impression! For employees leaving the company, restraint of trade provisions can end up with lengthy lawyers and legal battles. It is not unheard of for restraint of trade cases to end up before the High Court. Which small business has the budget for that type of battle? Should you include a restraint of trade clause? If you are considering including a restraint of trade clause in your employee contracts, stop and take a very deep breath, and if your lawyer provides you with a blanket restraint clause for all staff, then you may want to consider getting a second opinion from a lawyer experienced in employment law. Do you really need to cover all eventualities? 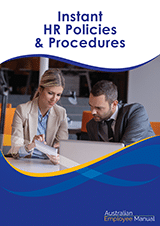 In most cases, you may only need to protect yourself against leaks of confidential information or trade secrets post-employment, although you can’t stop an employee from walking out with this knowledge in their head. Mind-wiping only occurs in movies and not in real life. Only include the provisions and situations that cover your genuine commercial interests. Does it need to apply to all employees? Consider the roles, levels and situations of each of your employees. Realistically only a tiny handful of specialist or executive roles may need a restraint clause. What is the minimum term that is realistic? Remember, the courts on average consider 3-12 months as realistic. What is the minimum geographic area that needs to be covered? Unless you actively trade Australia wide, then a smaller geographic area is all that is needed.